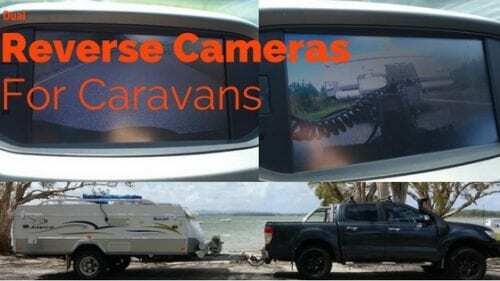 Dual Reverse Camera for your Caravan & Camper trailers. 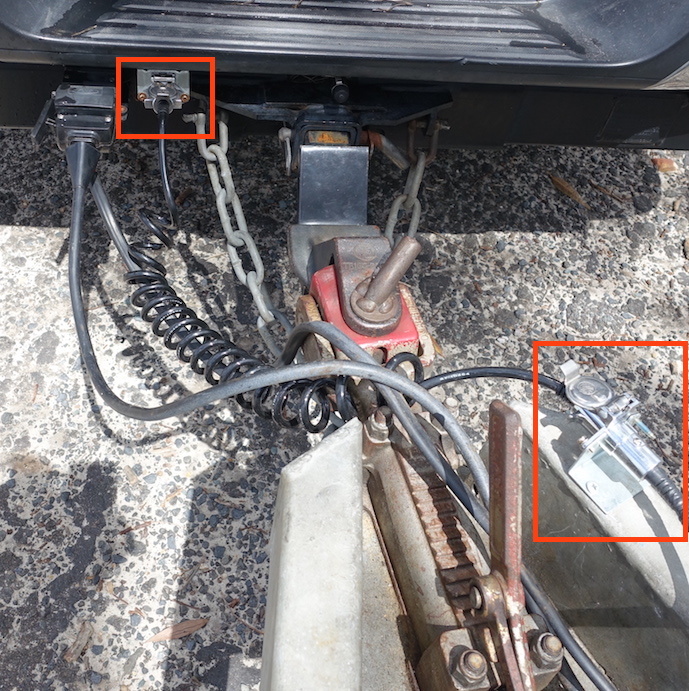 With two little kids in the car (12month & 2yr 10months), it is really hard to hook up the caravan and reverse it into camp safely. Andrew was getting frustrated with me always wrangling the kids instead of paying attention and directing him when hooking up or parking up the caravan. 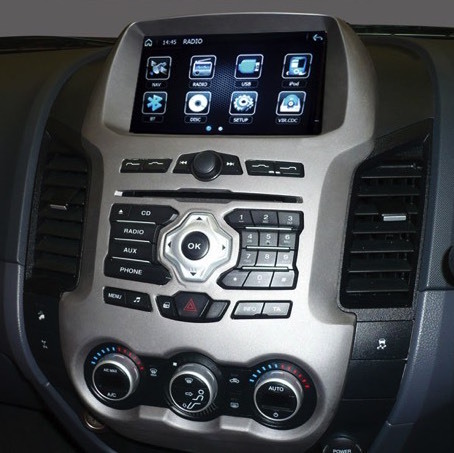 So we kitted out the Ford Ranger XLT 2014 with the latest Polaris multimedia centre & dual reverse camera. This way Andrew could see behind the car and also behind the caravan all from the comfort of the drivers seat without relying on me to guide him. We took it out for a test run on the weekend and I’m happy to report we didn’t argue once (well while reversing the caravan). Here are a few snaps. 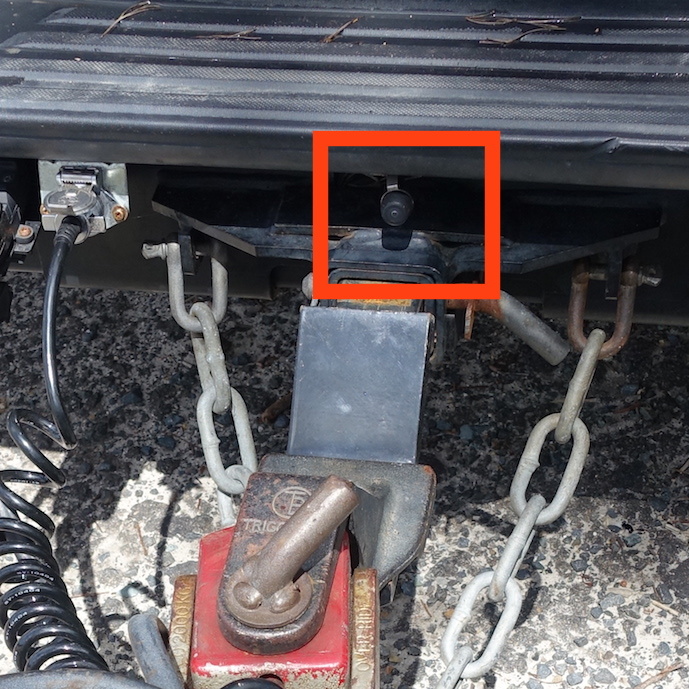 The camera on the tow bar provides a great view of your hitch & tongue which allows you to reverse the vehicle right up to the caravan and hook on with just one person. 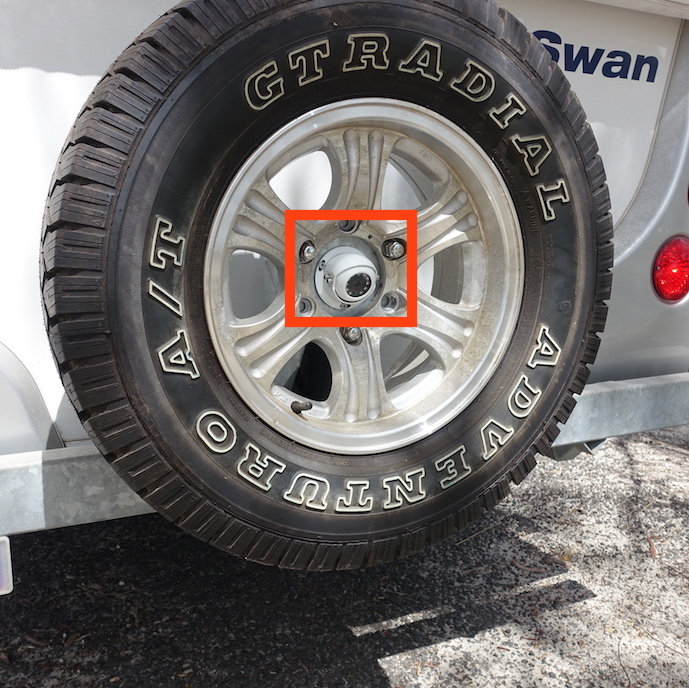 The second camera mounted to the rear of your caravan allows you to guide yourself with ease into your campsite. 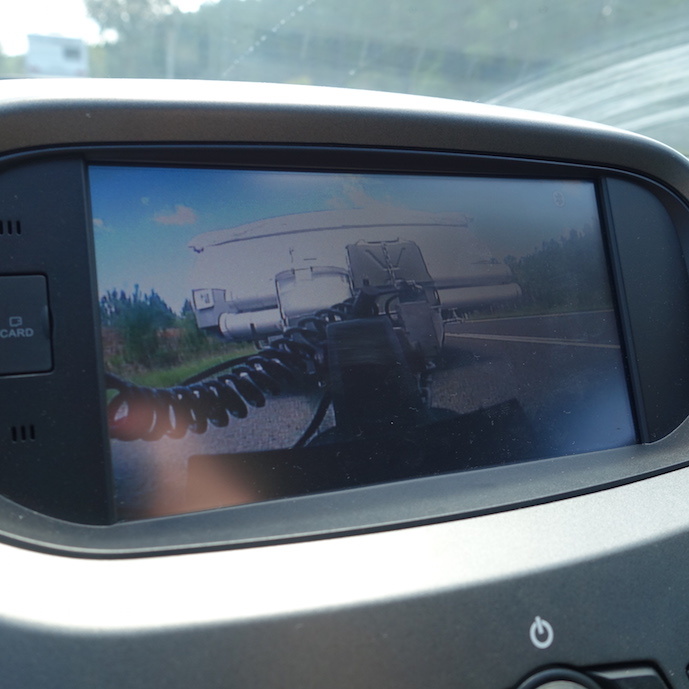 It also allows you to see vehicles behind you when driving and even better when overtaking you can see when the caravan has cleared the vehicle you have just overtaken. 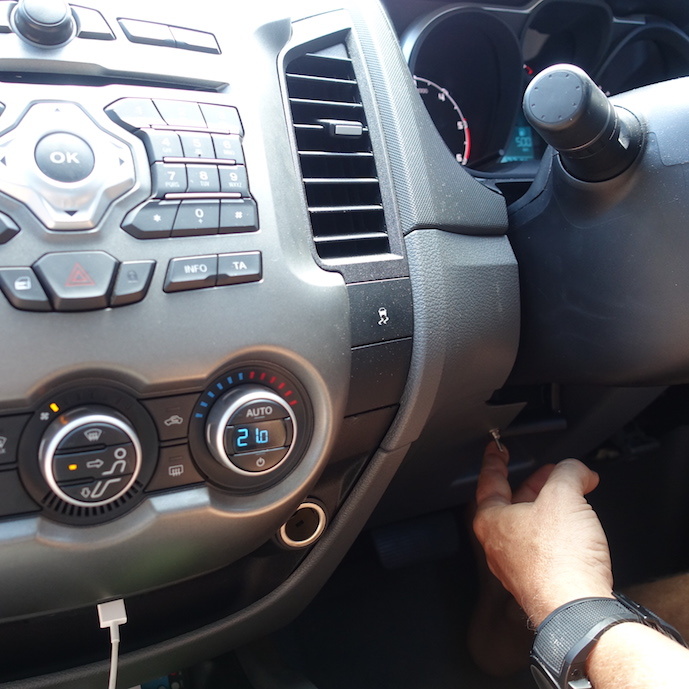 We also mounted a little toggle switch under the steering wheel that allows you to switch between the two cameras with just one flick. Over all he is really happy with the setup, it did exactly what he wanted – keep the kids and me safe in the car while he hooked the camper up and also reversed into the campsite. Next trip we need to head bush so he can test out the Hema offroad maps. 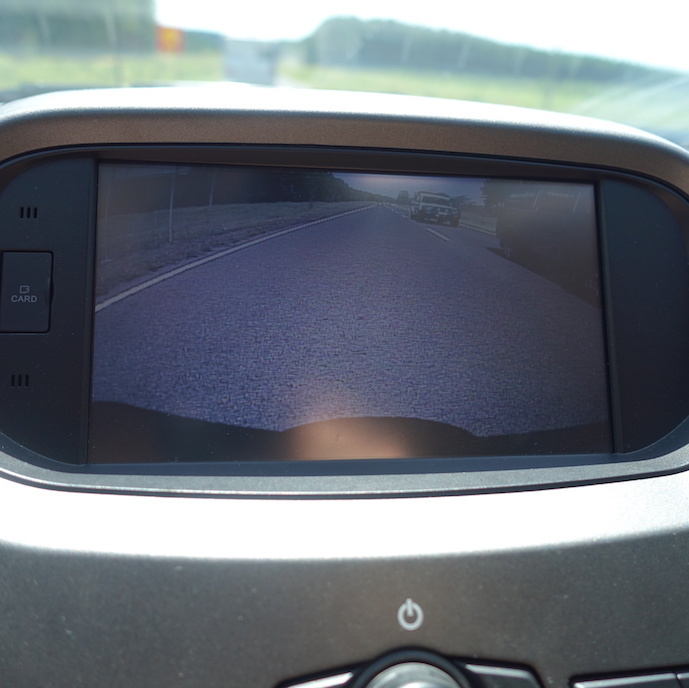 Have Ford Territory with factory reverse camera, also have caravan with camera and cable on draw bar, is it possible to connect caravan camera to show on car monitor. Would love to hear how the Hema maps went. Hi Russell, it would be $695 for the car now, and $395 for the work on the trailer later with woza kit.